A common native annual species of waysides, hedgerows, woods and other shady places; also a common garden weed. 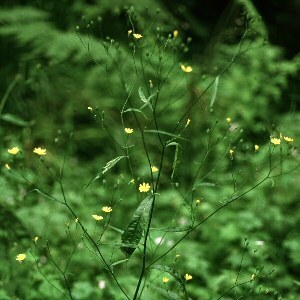 It grows up to about two feet tall and has very small yellow flower heads containing between 8 and 15 florets. All names: Lapsana communis L.